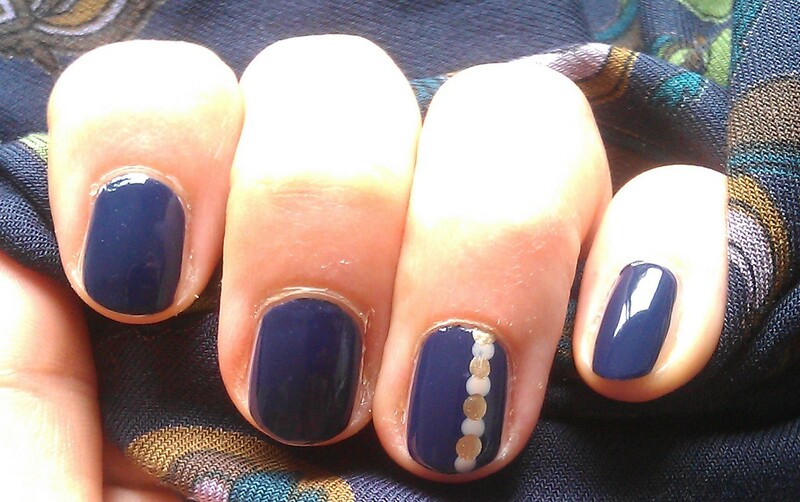 Last week I found a nice nail art blog and one design caught my eyes. But I did feel like a pink base colour so I decided to go for an elegant dark blue and just one signature nail and this is what came out of it. 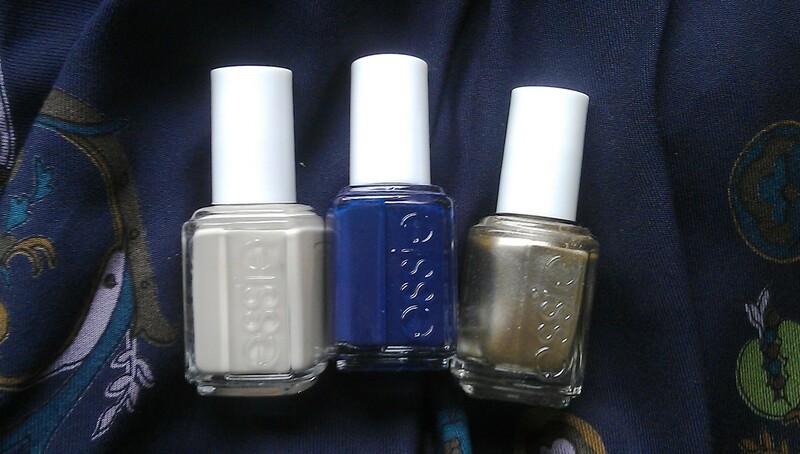 I used essie polishes: 103 no more film as the dark blueish purple as an elegant base colour and dotted the ring fingers in good as gold and sand tropez. Simple, elegant and quickly made. How do you like it? This entry was posted in Nail Art and tagged Dotted Mani, essie, good as gold, Inspired by a Blog Nails, Nailpolish, no more film, sand tropez by kathatravelling. Bookmark the permalink.